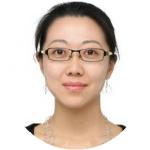 Tracy Tan , Director of the MicroMasters Program at MIT will hold a special workshop session at the Annual Conference in Genova introducing delegates to the MicroMasters programs. MicroMasters programs are a series of graduate level courses from top universities designed to advance learners’ career. They provide deep learning in a specific career field and are recognized by employers for their real job relevance.